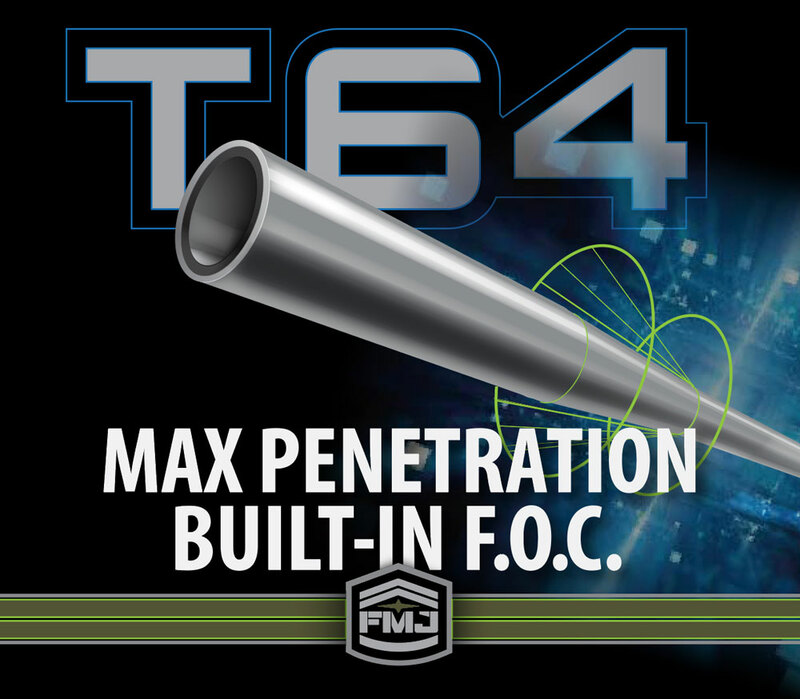 New T64 FMJ combines maximum penetration with long-range accuracy. Arrow penetration is vital when it comes to successful big game hunting, yet without precise shot placement, maximizing penetration alone may not seal the deal. Now, Easton has a new answer for bowhunters with the T64 Full Metal Jacket—the arrow that combines maximum killing power with the highest level of FOC accuracy. 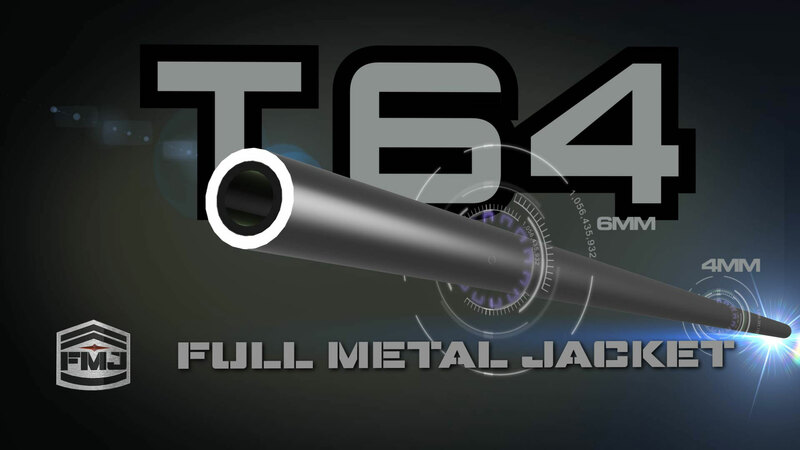 The T64 FMJ shaft profile begins at the front with a 6mm diameter that seamlessly tapers down to a micro-diameter 4mm at the nock end. The integrated front-of-center weight distribution adds up to 30% more FOC without adding point weight for the best in exacting long-range accuracy. For lethal big game results, the rear taper creates a reduced-friction path for maximum penetration. Couple these new improvements with FMJ’s track record of field-proven success, and the Easton T64 now sets the new arrow shaft benchmark for bow hunting big game. Straightened to the highest industry specifications and is coaxially aligned to ± 3 milliradians to produce the most precise hunting arrow available today. Built-in FOC—front taper adds up to 30% more FOC.